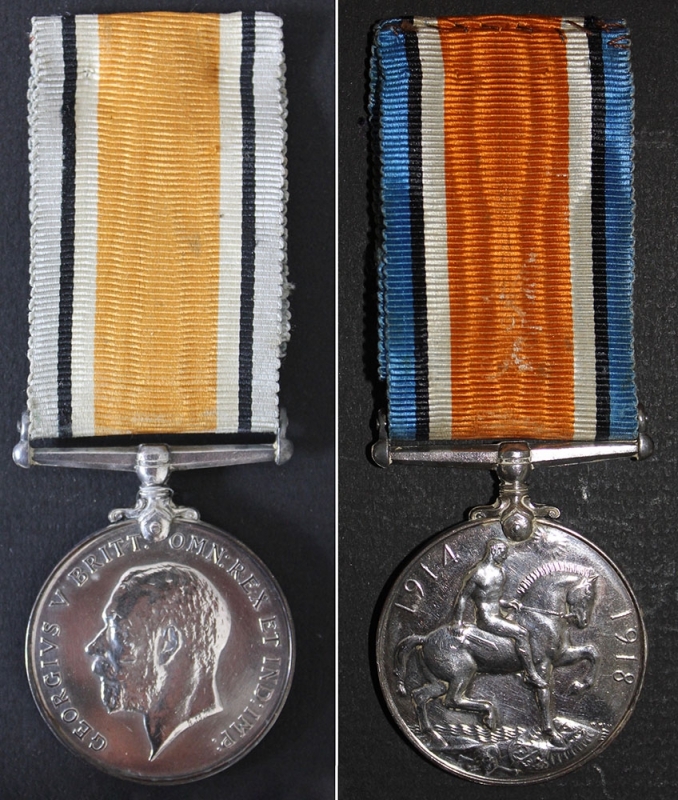 A small update to my genealogy database today – ANZAC Day 2016 – 102 years since the start of World War 1 – “The Great War”. 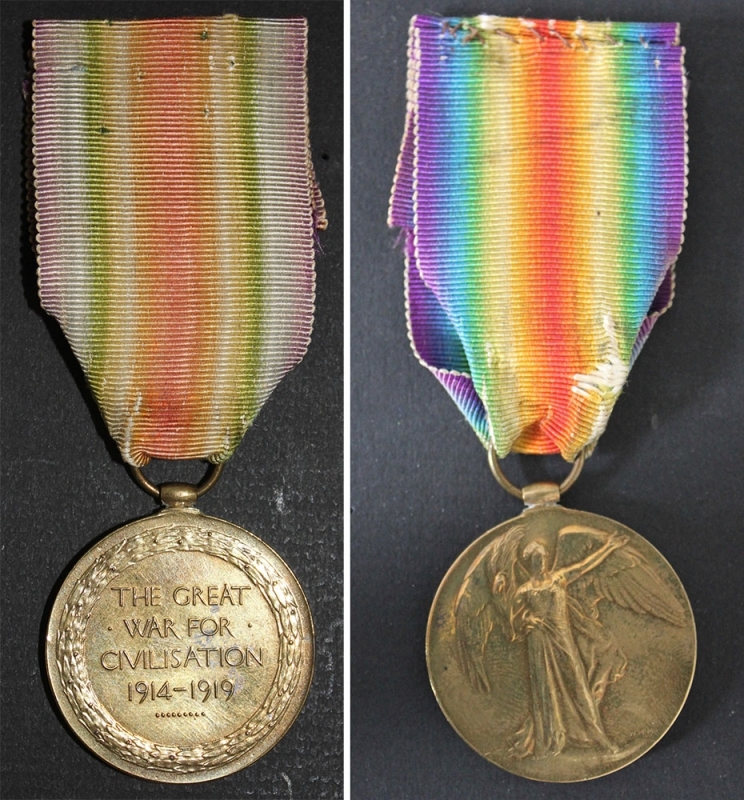 First, my cousin Andrew Moffat, who has our grandfather’s medals from World War 1 sent me decent photographs of them a few weeks ago. I have now got them linked up to Grandad’s page in the genealogy database. 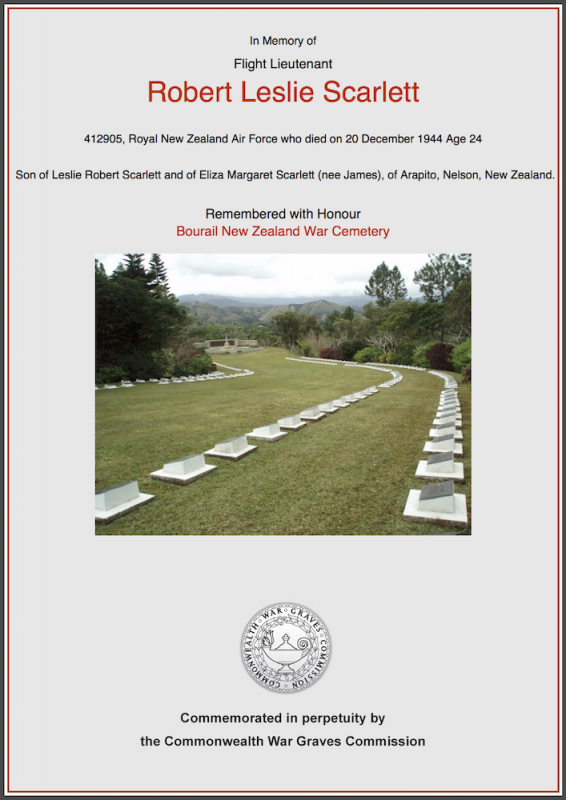 Second, a post on Facebook shared that a second cousin once removed – Flight Lieutenant Robert Leslie Scarlett RNZAF – was featured on the Facebook page “Air Force Museum of New Zealand” as one of their remembrance stories for ANZAC Day 2016. 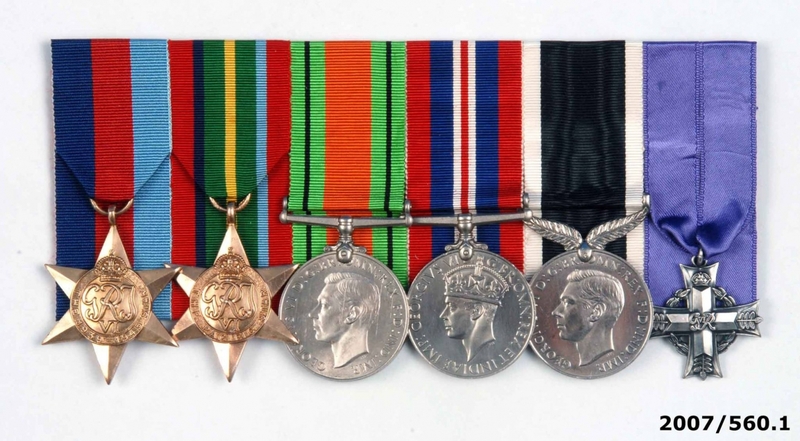 Robert was taking part in air operations on the island of Bougainville in the Solomon Islands in December 1944 when his plane crashed, killing the pilot and navigator instantly, and injuring the 3 others on board. Robert Scarlett was the radio operator. 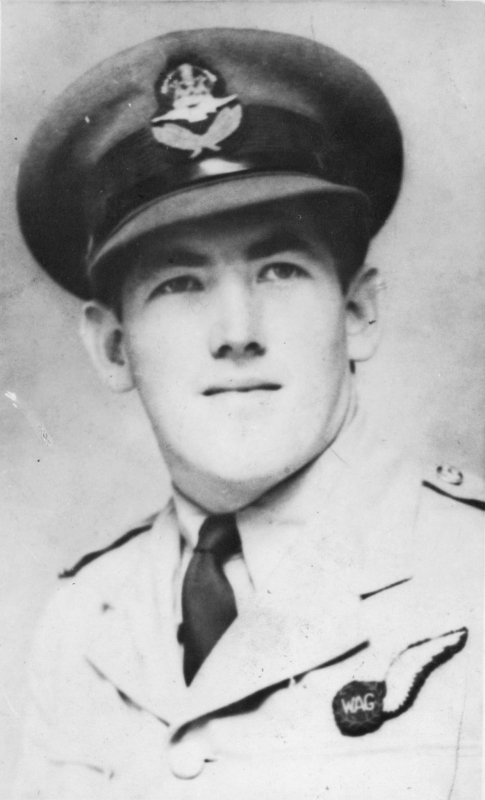 He, and the two injured gunners were rescued by Australian troops but Robert and one of the gunners died on the way down the mountain. 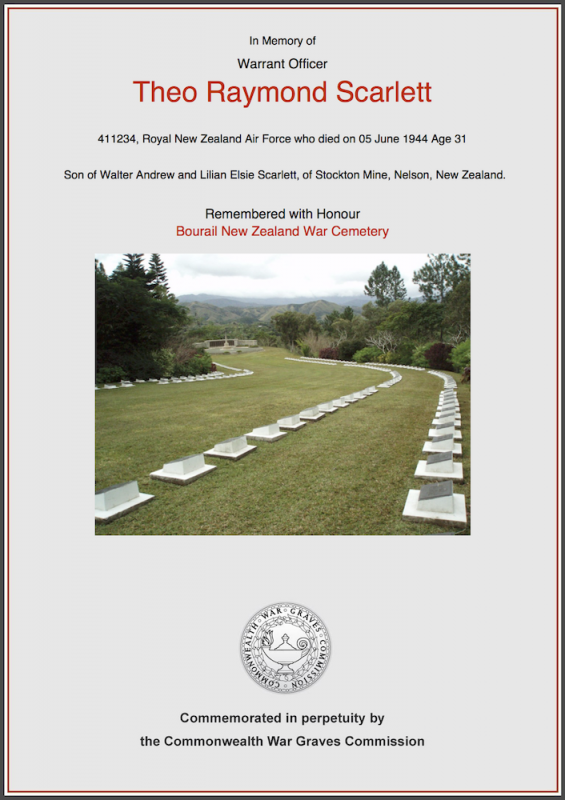 Robert is buried at the Bourail New Zealand War Cemetery in New Caledonia. 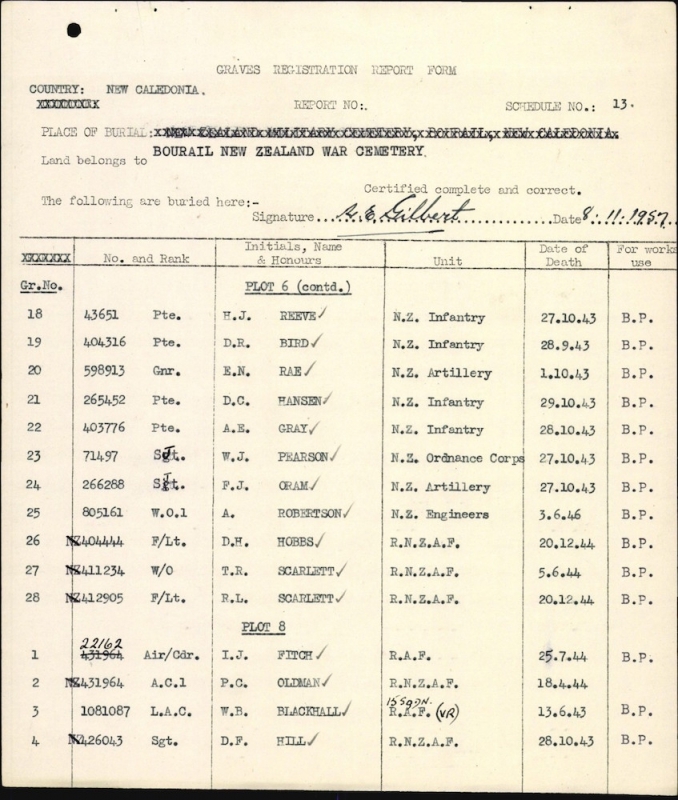 A search of their records revealed that Robert is buried in the same plot as his first cousin Warrant Officer Theo Raymond Scarlett RNZAF who was killed in action in Rabaul, New Guinea in June 1944.